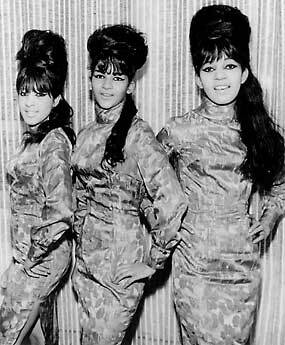 The ladies of The Ronettes were as famous for their towering beehive hairdos as they were for their big voices. Did the late Estelle, her sister Ronnie and their cousin Nedra inspire the following famous beehives? 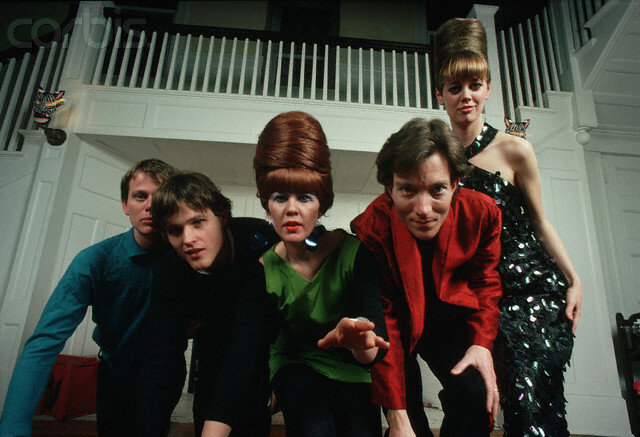 Cindy Wilson and Kate Pierson piled it high for kitsch value. With her sky-high blue ‘do and throaty voice, we bet Marge can belt it out better than any of ’em. 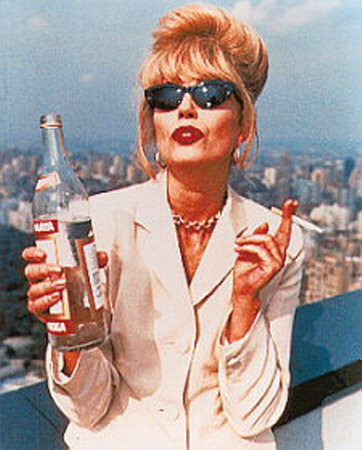 The tousled party girl beehive is Absolutely Fabulous in our book. 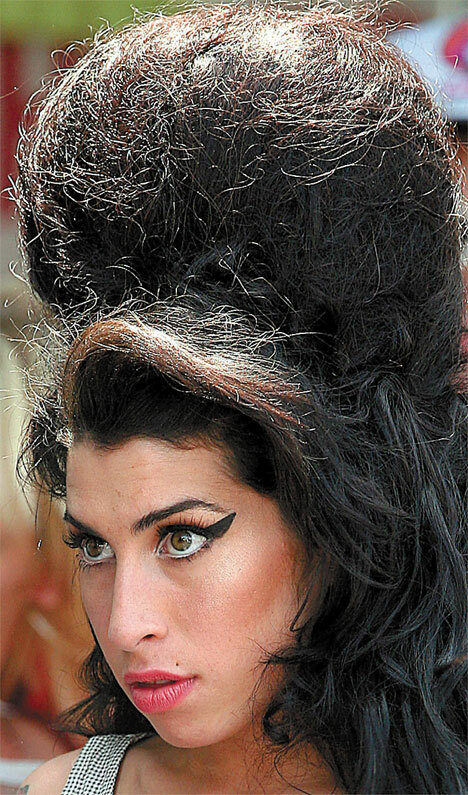 Do you have a favorite beehive hairdo? Estelle Bennett, one of the three great ladies that comprised legendary 1960s girl group The Ronettes, died Wednesday. Her sister Ronnie Bennett (later Ronnie Spector) was the group’s lead singer. Estelle and cousin Nedra Talley sang back up on the group’s songs including the hit “Be My Baby.” She was 67. Ronnie Spector acknowledged her sister’s death with a personal message on her web site. UPDATE: Here’s a New York Times article about Estelle. It’s heartbreaking. What a tragic, awful life. I had no idea.